Cabinlife | Contact Us About Timber Cabins & Granny Flats. We do not have expensive showrooms as we provide our product Australia wide and as such this allows us to pass the savings onto our clients. We do however have videos on most of our cabin kits on each cabin page within our website or click on the youtube icon at the bottom of any cabin page to see all of our cabin videos. 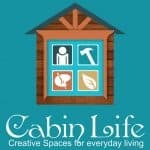 Cabin Life is an Australian owned family business located in Murwillumbah in Northern NSW. We are passionate about our products and service. Our goal is to provide simple solutions to creating extra living spaces. We also see our product as an affordable and effective solution for the emergency housing and the affordable housing space. 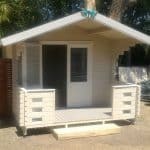 With rents on the rise and the high cost of living making the dream of owning your own home increasingly difficult for most families, we bring you a range of Cabins and Granny Flats which can accommodate extended families while saving for a deposit for a house, or be a great way to generate extra income via renting the space. Our cabins are very affordable, practical and they look great. These Cabins are German designed and made from Kiln dried pressure treated timber that is termite resistant. They are very easy to assemble and can be built on a slab or raised on stumps. The windows are dual action opening and the raked ceilings all come in tongue and groove timber. “Cabin Life” is the Australian and New Zealand distributor of Europes largest cabin kit manufacturer. The European factories have been manufacturing quality engineered Log Cabins and timber building kits for around 20 years and distribute Cabin kits world wide. We have spent years perfecting the cabins for the Australian market, and ensuring they meet all Australian Building Codes.